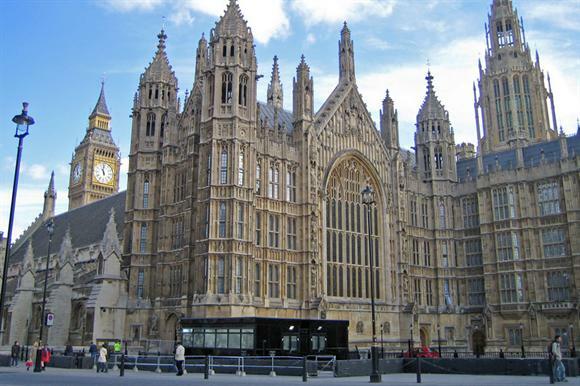 The government should make it compulsory for fundraising charities that raise more than £1m a year to become members of the Fundraising Standards Board, a Labour peer has said. Lord Watson of Invergowrie, who was speaking in the House of Lords yesterday at the second reading of the Charities (Protection and Social Investment) Bill, said the government could regulate to make membership of the FRSB compulsory for certain organisations by using a reserve power awarded to the Cabinet Office by the Charities Act 2006. The 2006 act contains a reserve power for the government to introduce statutory regulation to control fundraising if self-regulation is considered not to be working, but it has not been activated. He said that 35 per cent of charities that raised more than £1m a year did not belong to the FRSB. "The Fundraising Standards Board needs to raise its public profile and convince the remaining 35 per cent of charities that voluntarily raise more than £1m a year to affiliate to it," Watson said. "Perhaps it is now time to adopt the suggestion of the noble Lord, Lord Hodgson, to require all such organisations to be part of the Fundraising Standards Board." Watson referred to the recommendation that Hodgson, a Conservative peer, had made in his report on the Charities Act 2006, published in 2012, that compulsory membership should be kept on the table and reconsidered if the sector failed to support the step change that was needed for the next phase in the development of self-regulation. Watson said he believed the sector had reached the stage at which such a move was necessary, that all was not well in this area of the charity sector and that the chief executive of the FRSB, Alistair McLean, shared the view that charities with voluntary incomes of more than £1m should be required to join the regulator. McLean told Third Sector that he had shared his views on the matter with Watson and had supported Hodgson’s recommendation on compulsory membership from 2012, along with numerous other proposals made by the peer at the time. But he said the subject was not discussed during a meeting last week between the heads of the self-regulatory bodies for fundraising and Rob Wilson, the Minister for Civil Society. Watson said that recent criticism of charity fundraising had made the Charity Commission’s statutory role in maintaining public trust and confidence in the sector more necessary than ever. But the commission’s simultaneous role as a regulator represented an "inherent contradiction", he said. At the reading of the Charities Bill yesterday, another Labour peer, Baroness Corston, said the circumstances surrounding the death of the 92-year-old poppy seller Olive Cooke – who was last month found dead in the Avon Gorge in Bristol – were a stain on the UK’s charitable sector. Corston said that her friendship with Cooke had been one of her best experiences during her 13 years as MP for Bristol East. "She had a face that could light up a room," said Corston. "She was one of the kindest people I knew. I always looked forward to her letters, giving me general and continual advice. Her outstanding contribution – selling more poppies for Remembrance Sunday than any other person in this country – is well documented."